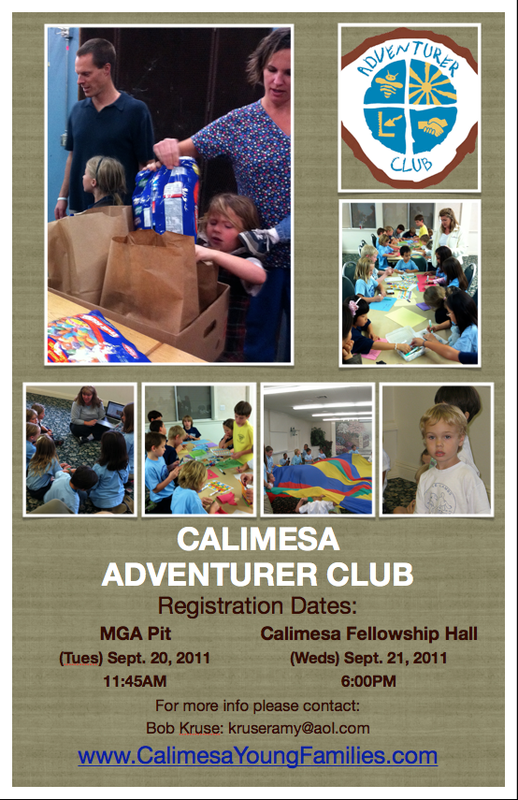 Our Calimesa Adventurer Club will be getting off the ground in the next few weeks. We have a new director this year after several years under the leadership of Karen Davidson and Tiffany Melashanko. Bob Kruse has agreed to be our new director and are looking forward to a great year with some new ideas to add to our curriculum. We believe that Adventurer Club is a great place to learn and grow with our friends and our families. Here are some important dates to keep in mind as we being our new year. Tuesday September 13th @ 6pm: Organizational Meeting: to share ideas and plan together. We need everyone’s help to make it truly meaningful for our children. A light dinner will be provided.